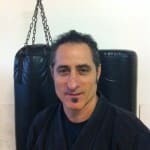 Master Lance has owned and operated Main Street Martial Arts since 1998 to bring a quality martial arts studio to the Kids and adults of Napa. Creating an ego-free studio with qualified and principled instructors that are here to serve and teach students in a safe and fun environment. Lance earned his 8th Degree Black Belt in Kenpo, as well as a certified senior instructor in Jeet Kune Do, Haganah, Israeli tactical knife fighting & ground survival. A retired Chiropractor, Lance, and his wife, Darlene are the founders of Nature’s Way Montessori in Napa. He teaches adult Integrated Fighting Systems/IMPACT. Lance has also been a lead facilitator for the Napa County Office of Education’s ROPES COURSE.